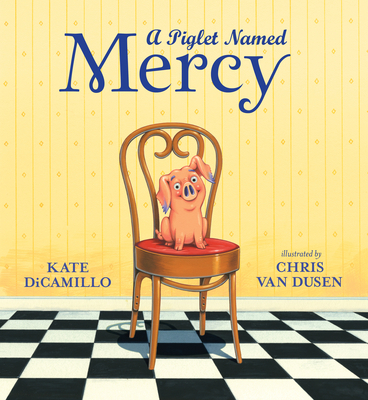 The popular early-reader series about Mercy the pig gets an origin story in this delightful picture book...As in the previous books, the gouache illustrations are polished to a sheen, and happily here have more room to shine. The book's vintage look suits the story well and is sure to entice readers. Old friends and new fans will appreciate this; bring on the toast. To paraphrase an immortal spider, Mercy is some pig...Younger siblings of the Mercy chapter-book lovers will find their way into the series with this first look, written just for them. As ever, Van Dusen’s bright colors and bold characterization joyfully accompany DiCamillo’s story, this time of new and evolving familial love. Established fans will find plenty to appreciate here, while newcomers will be charmed, making this a natural stepping stone to the original series. Van Dusen’s exemplary gouache illustrations perfectly capture the personalities of each character, especially the rambunctious and adorable Mercy. Although not a beginning reader like the rest of the series, this Mercy Watson picture book will appeal to her many fans and will serve as a great introduction for younger children.